Can Bearded Dragons Eat Fruit Flies? Bearded dragons often show up in the herptile hobby. Many people purchase these lizards as hatchlings and care for them their entire lives. As bearded dragons grow, their dietary needs, which include both plant and insect material, change. 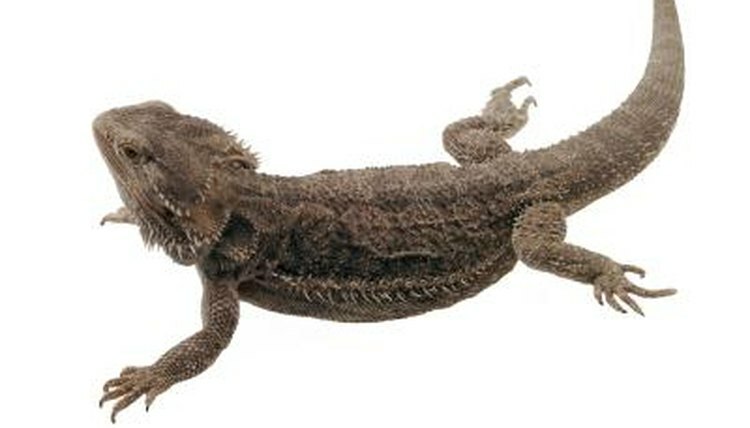 During parts of their lives, bearded dragons may readily consume fruit flies. Bearded dragons are enthusiastic omnivores. Their diet in the wild includes both plants and animals, mostly insects. In captivity, feed them a mixture of half plant and half insect materials. Fruit flies can certainly make up a part of this balanced diet. Keep in mind that a greater variety of foods will ensure that your bearded dragon gets all of the nutrition they need, so feed them other insects as well, like mealworms and crickets. Always feed your bearded dragon appropriate-sized food. Only the smallest bearded dragons, like hatchlings, will reliably eat fruit files. Large bearded dragons may not notice the tiny insects. If you feed a larger bearded dragon fruit flies, the uneaten flies could run around the enclosure or even your home, generally making a pest of themselves. They are harmless, but annoying, and your dragon functionally misses a meal if you feed them food they can't or won't eat. Keep in mind that any insect food is a great way to slip a little extra nutrition into your bearded dragon's diet. Extra vitamins and minerals are especially important for young bearded dragons -- the size range most likely to register fruit flies as a food item. One method of slipping in extra nutrition is "gut-loading" or feeding the fruit flies very nutritious food. You can also supplement them with commercial powdered supplements, available at many pet shops. To administer these supplements, put some of the powder in a plastic bag with the flies and shake gently. This coats the flies with nutrition supplements. If you decide to feed fruit flies, you can easily culture them at home. To do this, use a large jar or soda bottle, capped with a piece of fine-weave nylon and a rubber band. Add a layer of fruit fly media to the bottle and a starter culture of fruit flies, and you will soon have a thriving colony. You can make your fruit fly media yourself from various recipes, or buy it online, which is often easier and sometimes cheaper. You will typically have to restart a new culture every two weeks or so to keep ahead of mold. Ideally, use Drosophila hydei, a larger species of fruit fly for your starter. Purchase a starter culture online.